Un film di Guy Hamilton. Con Sean Connery, Honor Blackman, Gert Fröbe, Shirley Eaton, Tania Mallet. 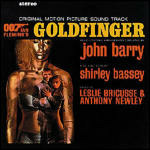 Titolo originale Goldfinger. Avventura, durata 108 min. - Gran Bretagna 1964.